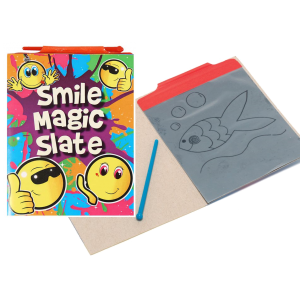 Fun Stationary Magic Slate – Emoni. Magic Slate is perfect for young children. 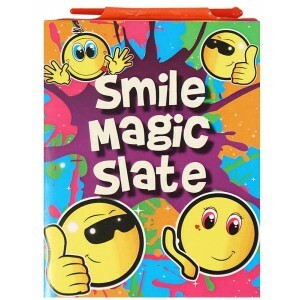 No mess, no waste paper. To use: draw a picture on the specialised film cover and to erase lift cover and the picture goes away. Comes with plastic drawer. Great for party bag filler.